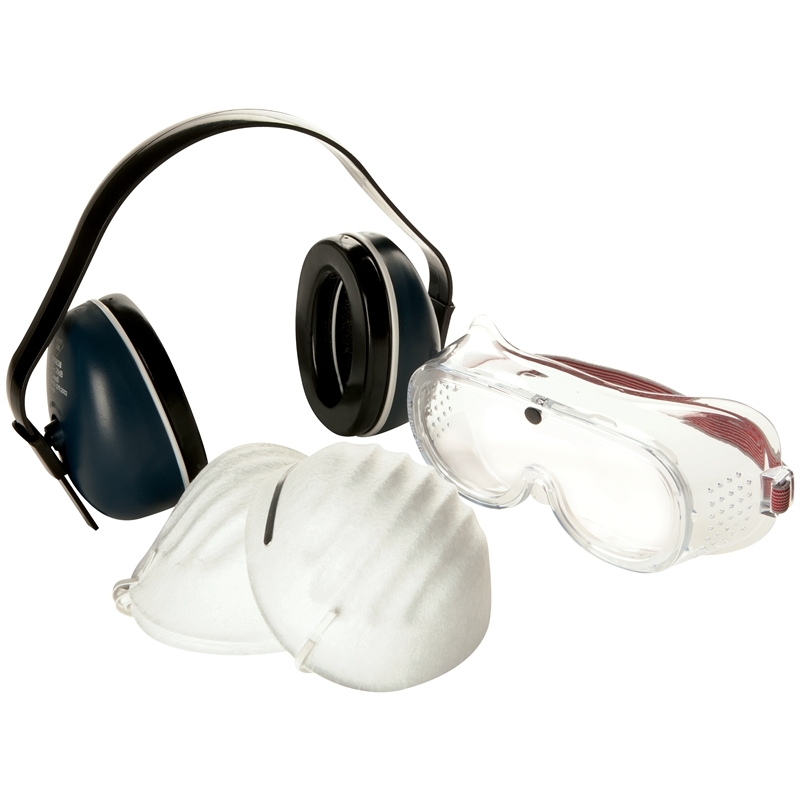 The Safety Zone personal protection kit contains a Class 5 general purpose earmuff, medium impact safety goggle and five disposable dust masks. This protection kit is suitable for a range of general handyman jobs around the home. ABS cup earmuff. Foam Cushions. Polycarbonate lens goggles.